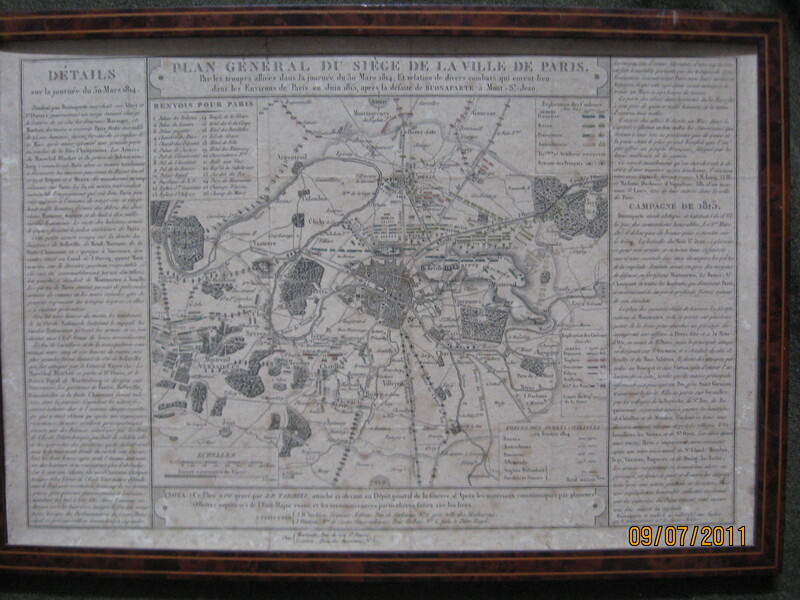 Plan of the siege of Paris engraved by Jean Baptiste Pierre Tardieu(1746-1816). 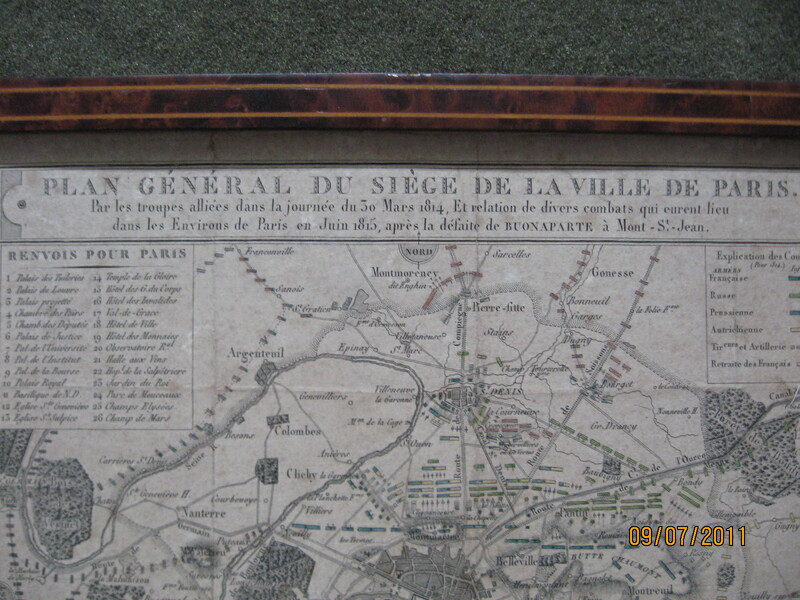 This very neat map shows through cartography and words the positioning of allied troops closing in on Paris on 30th March 1814. Done not long after the fact it has been mounted on an old piece of board that looks like wallpaper. It is as a result quite stable.Comes with an early 20th century frame. Could use a nice 19th century gilt frame to do it justice. Done in French. 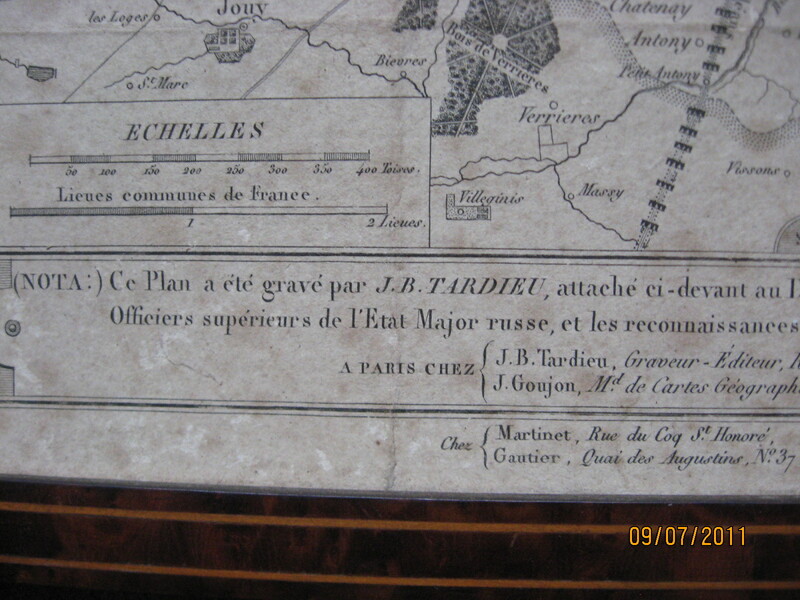 An interesting piece of Napoleanic history.